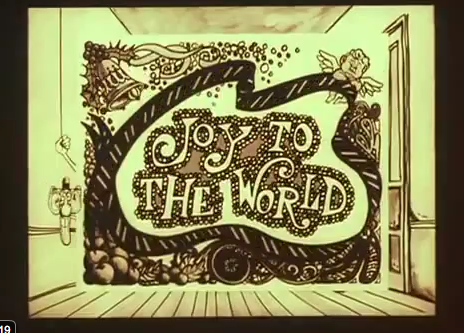 “The Christmas Card” is a wonderful 1968 cut-out animation by Terry Gilliam. The animation was for the British TV series Do Not Adjust Your Set, which included several other members of what would become Monty Python’s Flying Circus. “The Christmas Card” shows up in this 1974 clip from the Do-It-Yourself Animation Show, in which Gilliam explains his technique.